Business expansion in a young insurance market is a current growth model followed by many big players in the insurance market wordwide. However, for such an operation to be successful requires a deep knowledge and understanding of local operating conditions: customs, markets, legal issues and regulations, customers behavior. The ability to mobilize local resources and talent that understands how to tread in the local environment may as well prove crucial. 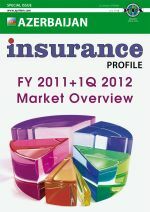 This is shortly the value proposition of AIIF 2012 – The Azerbaijan International Insurance Forum and of the present Report. Standing as the most important event in the Caucasus Region, dedicated to the insurance and reinsurance markets, AIIF focuses on the main development trends and perspectives within the Region, offering an unique opportunity to exchange experience and develop new business partnerships. The special issue of Insurance Profile dedicated to Azerbaijan you are contemplating now is meant to be an efficient tool in your hands, trying to asses the market’s accomplishments and to emphasize the real business opportunities. It is not only about potential, but also about a welcoming business environment and a market whose main players – companies, supervisory authority and association -, are determined to do their best in order to reach the highest standards. Our warmest thanks to the Azerbaijan Insurers Association for the commitment and the involvement in supporting the elaboration of the third issue of the Azeri national insurance sector review. P.S. 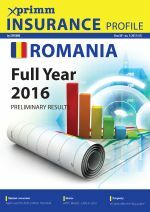 If you need to be permanently informed about the Azeri insurance market, as well as about the other markets in the CEE and CIS regions, visit www.xprimm.com and get the latest news and statistical data.